How often do you focus on gratitude? This week, families and friends all across the country will be gathering together and reflecting on what they are thankful for. This is a beautiful tradition, and something I truly look forward to every year. Even when someone has experienced a particularly trying year, they are typically able to identify at least one thing that they are grateful for. “With gratitude, people acknowledge the goodness in their lives. In the process, people usually recognize that the source of that goodness lies at least partially outside themselves. 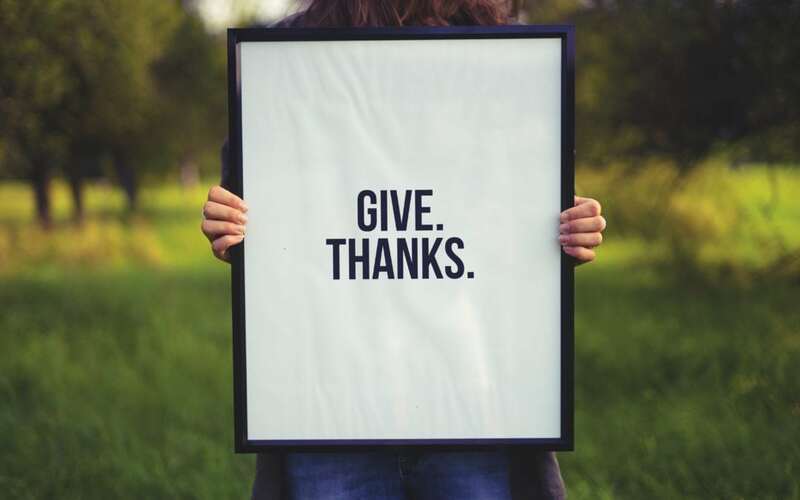 As a result, gratitude also helps people connect to something larger than themselves as individuals – whether to other people, nature, or a higher power. This year, I challenge you to focus on gratitude every single day. Make this part of your daily routine, whether first thing in the morning or last thing before you fall asleep (or both!). Reflect upon what you are grateful for, and why you grateful for it. After all, what you pay attention to grows. The more time and energy you spend reflecting on all the goodness in your life, the happier you will feel.